Arena has just announced the launch of free skating for NHS staff from 10 to 12 December across its managed ice rinks in London, Cambridge and Liverpool. The exclusive three-day event allows NHS staff to enjoy a free skating session worth up to £14.50, providing the perfect opportunity to get together with co-workers or loved ones in the run up to Christmas. 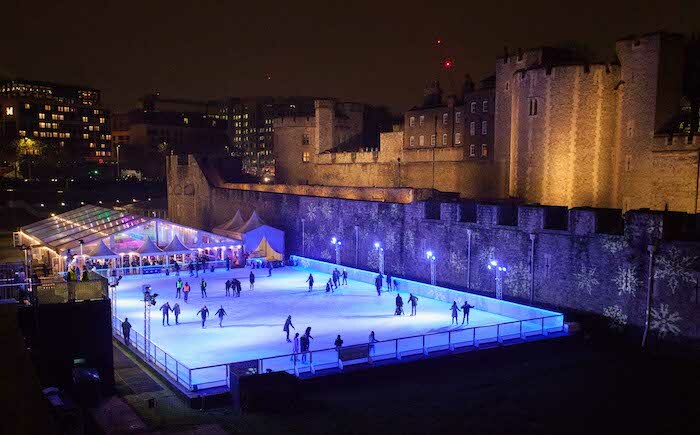 The offer is available at Arena’s managed ice rinks in four iconic city locations: Liverpool Christmas Ice Festival, The North Pole Cambridge and the Tower of London and Hampton Court Palace Ice Rinks in London. Kate Karagholi, marketing manager for the UK and Europe division of Arena, said: “The NHS is very close to my heart, and the festive season is very much a time for family and for giving back. It’s important for us to recognise the dedication of NHS staff, who may not be fortunate enough to be able to spend Christmas Day with their loved ones due to their work commitments. All four ice rinks offer visitors a unique skating experience, from the historic backdrops of the Tower of London and Hampton Court Palace to the winter wonderlands of Liverpool and Cambridge which feature funfairs and German style food and drink offerings, enough entertainment to make a whole day of it. Free tickets are available to all NHS staff who present their valid photo ID card to Box Office staff from 10 to 12 December 2018 for skating the same day. The ice rinks are open to the public every day from 11am until 8pm – except Christmas Day – until l6 January 2019. As an international event solutions company, Arena provides a comprehensive porbolio of services including temporary scaffolding, structures, seating, interiors, mass participation event support and crowd control solu<ons. Arena are kept busy in the winter months delivering 30 temporary ice rinks nationwide. during peak times and school holidays, and are subject to availability. Only one free ticket per NHS ID badge.